An open house is one of the best opportunities a potential homeowner will have to take stock of a home and determine if it will work for them. However, it can also be a good opportunity to discover some glaring red flags that might make it a less worthwhile investment. If you’re currently perusing the open houses in your neighborhood, here’s some things you should make sure to watch out for. It’s well and good if you love the home you visit, but ‘location, location, location’ is a popular phrase for a reason. If you’ve noticed a lot of homes for sale in the area, this could be a sign of neighborhood issues that are less than pleasing. Baked goods or room spray are quite common when it comes to an open house, but it’s possible that they’re masking a less-than pleasant odor. Since this can point to a hard home fix-up, it’s worth checking out the closets or the basement where a strange smell can indicate mildew or mold. Paint that’s peeling may mean that a few fresh coats are long overdue, but it can also indicate moisture issues in the home that have gone untreated. As this kind of repair can cost a pretty penny, it’s worth determining if there are sealing issues with windows or doors. A sticky door or a damaged wall may not seem so bad on their own, but if you notice a few things that need to be fixed around the home, it can be a sign that there’s more afoot. If a homeowner has cared for the property during their ownership, it will likely show in small details like this. It may seem like a good sign to see a house that’s undergoing a renovation, but it can actually be a risk to invest in a home that’s not complete. Instead of leaving this to chance, you may want to check with the construction contractor to determine the scope of the work and when it will be finished. An open house may be a good time to decide if you’re interested in a home, but it can also be the perfect opportunity to search for deficiencies that may end up costing you. 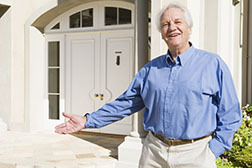 If you’re currently in the market for a new home, contact your trusted real estate professionals for more information.